‘LIFE’S A TRIP’ Is Here ! Trippie Redd has been one of the more successful “Soundcloud” rappers as of recent and although it still seems he is only supported by a smaller cult following his album has been one of the most anticipated projects of 2018 since its announcement. 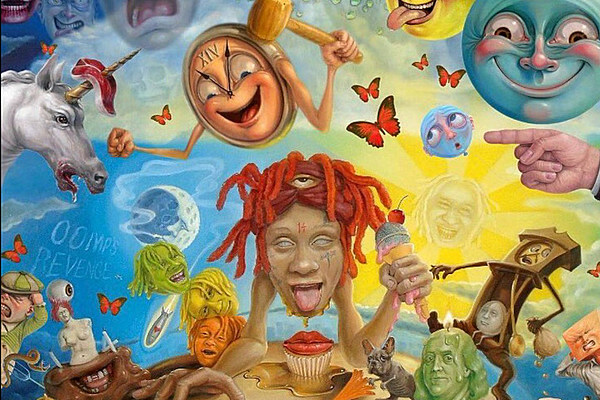 Titled LIFE’S A TRIP the Ohio native Trippie Redd released the album today containing 14 tracks with notable features like Travis Scott (lead single Dark Knight Dummo), Young Thug and REESE LA FLARE. This project is one that surely displays Trippie’s array of sounds, vibes and emotions. Check it out for yourself here now.